Kate Winslet and Shailene Woodley. The established themes of conformity and self-discovery get set aside in “Insurgent,” the second installment adapted from novelist Veronica Roth’s hit young-adult series “Divergent.” It’s a sequel that sticks to more routine territory of action, angst, and dystopian gloom — mostly a sound approach, thanks to the consistent strength of franchise lead Shailene Woodley and a mix of intended and inadvertent surprises. When we last saw Woodley’s Tris Prior, she had just gotten in touch with her unique Divergent abilities — a label-busting amalgam of bravery, intelligence, and other personality categories into which her society has been divided as a peacekeeping measure. She channeled all of them to take on despot-chic Jeanine (Kate Winslet), leader of the Erudite faction and an elitist scheming to see post-apocalyptic Chicago run her way. Windy City politics were ever thus. The sequel opens with Tris and her similarly righteous hottie boyfriend, Four (Theo James), now living as fugitives among the Amity faction, neo-hippies set up on the city’s outskirts. (They’re led by Octavia Spencer’s pragmatic matriarch, one of a few grown-up roles you wish were better scripted, given some of the talent the series has managed to attract.) When Jeanine’s troops track them down, they flee again, landing among the Factionless, a punk-attitudinal underground tribe ruled by Evelyn (Naomi Watts, unrecognizable at first glance, with her darkened locks). Throughout, it’s made clear that Tris’s choices are motivated by guilt over the first-installment death of her mother (Ashley Judd, who pops up in flashbacks). 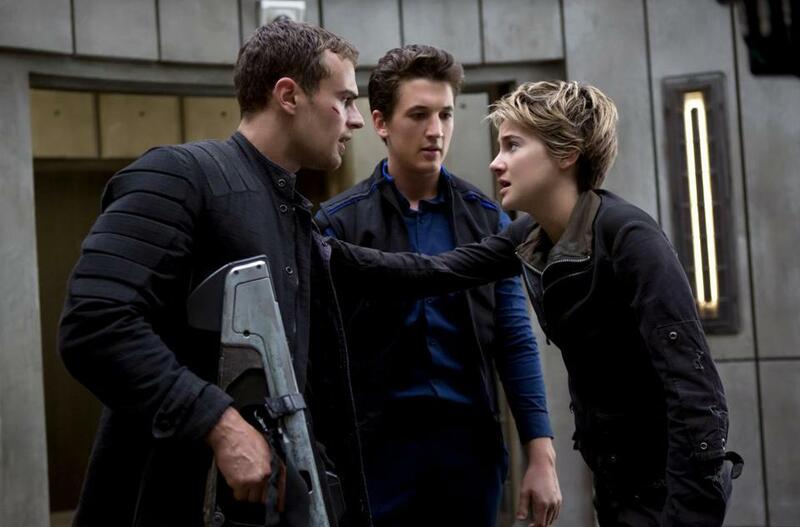 But neither Tris’s self-loathing nor her growing intimacy with Four have quite the same resonance as the awakening she went through previously. In “Divergent,” there was a tangible push-pull of nervousness and thrilled recklessness even when Tris got a tattoo; in “Insurgent,” she chops her hair and we just shrug. The drama here is serviceable largely because of Woodley’s ability to make a go of whatever notes she’s asked to play by new series director Robert Schwentke (“RED” and, ugh, “R.I.P.D.”). But we knew Woodley could do that. The eye-opener is catching Miles Teller, straight off of his “Whiplash” breakout, working his edgy Cusack vibe as Tris’s button-pushing foil, Peter. 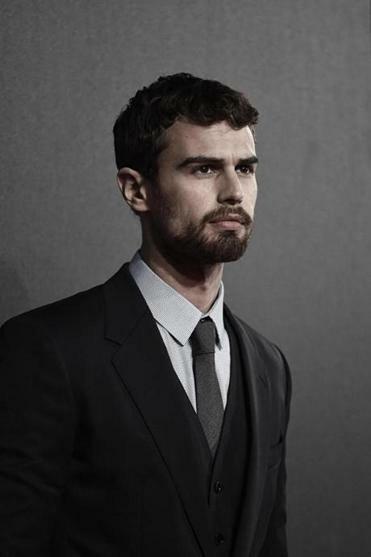 He was around for “Divergent,” but he really puts a wry stamp on the material this time. Even in scenes with Winslet, whose character still can’t quite polish all of her thinking out loud to underlings, Teller is the one holding our attention. Until it’s grabbed away by the effects and other solid, story-driven elements, at least. The first movie’s best moments had Tris transcendently ziplining through Chicago’s trashed towers, a thrill that Schwentke darkly echoes with scenes of her clambering onto one crumbling, skyscraping structure and plummeting from another. We also get plot twists handled deftly enough to offset their familiarity, and dream sequences that actually do fool us a time or two. 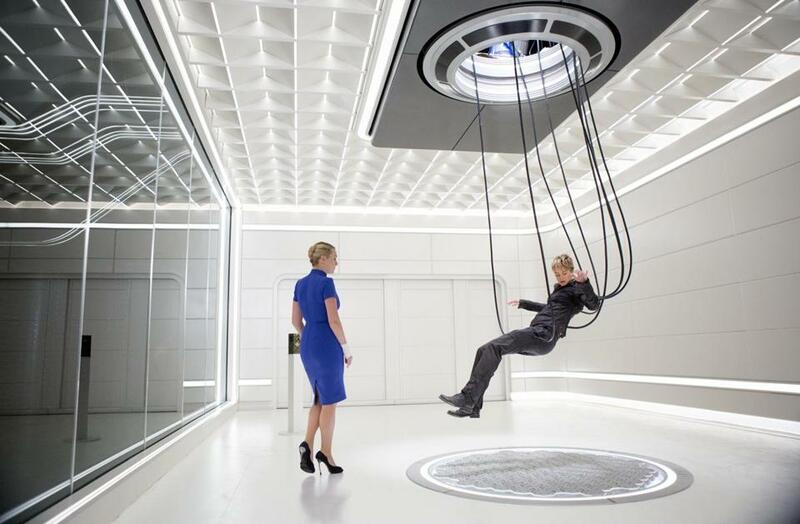 Just as we’re thinking we’re all too smart for “Insurgent” — not without cause — the movie can also outsmart us. Woodley with Miles Teller and Theo James.